It's 2018 and yep! Disc title support is still poor. I went through a bunch of music players and found pretty poor support overall for the out-of-the-box experience. With a little configuration, the more powerful players can be made to work. What kind of releases do disc titles make sense for? It's normally box set collections of other albums or releases where there are quite distinct groupings that deserve their own name. A common box set I see when supporting bliss is Pink Floyd's Discovery box set. This is made up of a series of their released albums, each having the name of the album. Clearly you'd want A Saucerful of Secrets to have its correct name displayed, rather than "Disc 2". 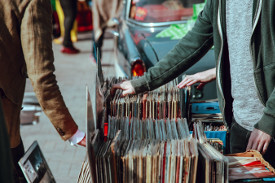 The alternative is to tag these as individual album releases, but that offends the collector in me; all knowledge of the Discovery release is lost. For my own use, a recent example came up when organizing some audiobooks for my children. 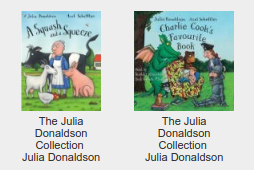 They are great fans of the Julia Donaldson books, and so we purchased a ten-CD set of her books, the Julia Donaldson Collection. The box set has its own artwork, and then each of her well-known books appears on a separate CD. This is a perfect candidate for disc titles. How is disc title stored? It's the usual story; different tagging specifications have different ways. ID3 (used in MP3) only introduced formal support in ID3v2.4 using the TSST frame. It is possible to use the same frame in earlier versions of ID3v2 but it's less likely to be supported. For FLAC and Vorbis which, commonly, use the same tagging approach of Vorbis Comments, DISCSUBTITLE is normally used. In some cases, for some music players, you may need to use SETSUBTITLE instead. For MP4 and WMA, this is where the fun starts. A number of tag editors have documented their mappings. For example, MP4's is documented as ----:com.apple.iTunes:DISCSUBTITLE and WMA's WM/SetSubTitle; in other words, that's where the subtitle will be stored in a MP4/WMA file if you happen to use that tag editor to save one. The disc subtitle was set to be different for the tracks on each CD. The field names used in each file format were obviously different - TSST for disc subtitle in MP3s, for example. As above, some tag editors document their mapping, saying they store a subtitle to MP4s. Did this work with iTunes? Did iTunes show the disc subtitles? Nope. I tried both MP4s and MP3s, but iTunes stubbornly refused to show the subtitles. Working through the more popular players, what about the venerable old WMP? Short answer: no again. I tried both MP3s and WMA files. I did wonder whether ripping some WMAs from within WMP might help it in some way, in case my conversion process from FLAC to WMA wasn't working. Either way, I expected it to work in MP3. ... or Squeezebox to you or I. Good news at last! With a little prior research I found disc titles are supported. Now, LMS is very configurable and there is probably a way of editing this, but it was a slightly disappointing out-of-the-box experience. Still, progress! fb2k is a popular choice amongst seasoned digital music collectors; it's extremely configurable. On the other hand, its out of the box experience can be a little... involved. In this case, we need to step through a number of configurations to make foobar2000 show and use disc subtitles in a useful way. Now in the main playlist view we can show and group the albums accordingly. Right click the column headers (e.g. Artist/album) and expand the Columns sub menu. Pick Disc name. This will show the disc name, where set. This only covers the playlist. The next challenge is the Album List. As of yet I haven't been able to refer to my %discsubtitle% field to structure the hierarchy... let me know how I might do that in the comments (and I'll update this post). Turns out adding a DISCNUMBER tag should fix that. 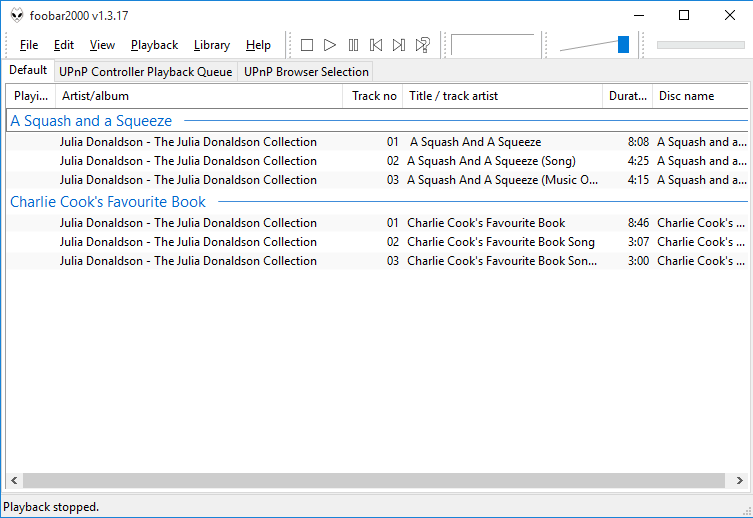 MusicBee was a similar story to foobar2000. It didn't work out of the box, but with some configuration I got it somewhere half decent. 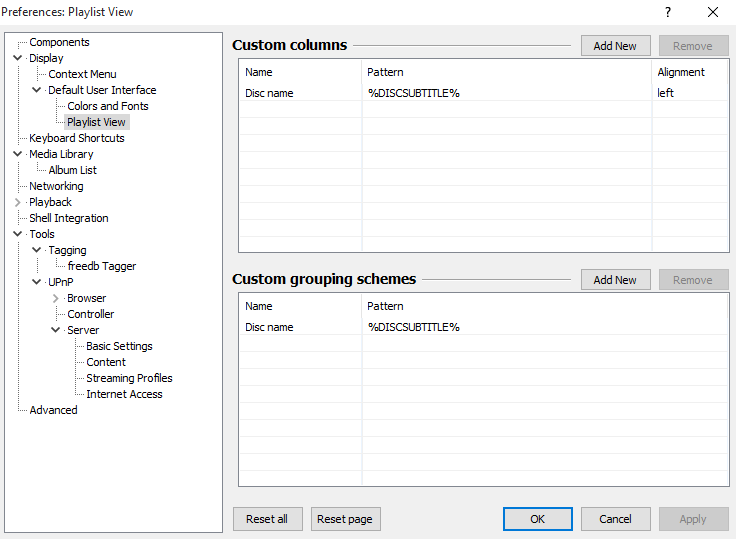 Go to Edit > Preferences and then under Tags (1) choose Set Subtitle as one of the custom tags. Note: like Quod Libet you must also set the DISCNUMBER to ensure the tracks are in the correct order and are grouped. The best out of the box experience of all was with a piece of software that is not actually a music player; it's a music (UPnP) server. MinimServer, to be precise. Shame the music players can't work so easily out of the box! As pointed out in a comment, you are actually required to set a disc subtitle to show the discs separately, although note that DISCNUMBER-only ordering will still be preserved for all the tracks in an album. Thanks to unsplash-logoClem Onojeghuo for the image above.